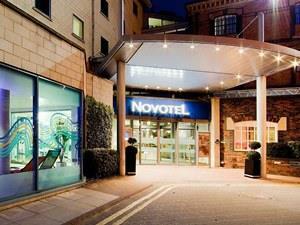 Novotel Cardiff Central HotelSituated in the heart of the city's new development area, this hotel is equally convenient for the centre and Cardiff Bay. Bedrooms vary between standard rooms in the original wing and deluxe rooms in the more modern extension. The hotel offers good seating space in public rooms, a galleried bar and a popular leisure club. Situated in the heart of the city's new development area, this hotel is equally convenient for the centre and Cardiff Bay. Bedrooms vary between standard rooms in the original wing and deluxe rooms in the more modern extension. The hotel offers good seating space in public rooms, a galleried bar and a popular leisure club.